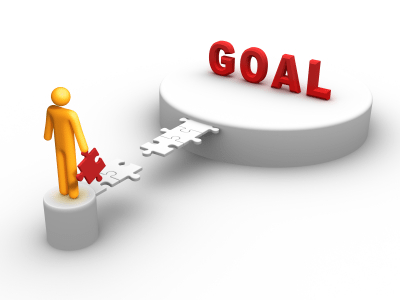 Goal-setting has become a part of everyday life, linked with the terms achievable, reasonable, measureable and realistic. Goals provide observable and measurable results to be achieved within a specific timeframe. They help everyone in an organization clearly understand the direction of the organization and how they can contribute to meeting business objectives. Without a common understanding of your final goals, it becomes extremely difficult to get everyone involved and to achieve your desired results. In the area of sustainability, including energy and environmental management, organizations need to have the same focus on goals, policies and procedures, organizational adoption and ongoing performance improvement that they apply to their other core business processes. Clear goal-setting is a foundational ‘best practice’ in sustainability initiatives. It will focus the organization on activities that provide tangible business value. Sustainability has become the standard for system-wide innovation. Failure of organizations to pursue sustainable business practices has severe consequences in a time of imminent climate change. Ultimately, sustainability means survival for organizations, and many that are realizing the benefits of sustainability are implementing enterprise-wide energy and environmental management programs. When aligned with the missions of improving quality and productivity, reducing costs, improving efficiency and enhancing reputation, sustainability is a force impacting the way organizations think, act, manage and compete. It’s absolutely essential to set clear, achievable and measurable goals in order to achieve your desired results in sustainability. A common strategy sustainability professionals use to encourage employees is to tie incentives, bonuses and rewards to sustainability in the same way companies incentivize sales, service and other management personnel on their performance. An energy & sustainability program will be more effective if clear, realistic goals and targets are established. Goals set by organizations are often unrealistic and too difficult to achieve, which tends to discourage those who have an important role in achieving the result. Setting a goal or target provides little value if progress cannot be measured; take the time to ensure the appropriate data structures are in place to capture and report on the status of your goals and targets. Reach for goals that will both benefit the business and expand opportunities for the company. New markets are being created for lower carbon and more sustainable goods and services, and the most agile companies will anticipate these changes and take action. Each goal should have a meaningful impact on the company’s environmental footprint. For example, setting a goal to reduce GHG emissions by 10% would have a direct impact on the company’s environmental footprint if achieved. Senior management must be committed to the organizations energy & sustainability goals. This is crucial because it demonstrates to business partners, external stakeholders and employees that company leadership views sustainability as an important factor for growing and improving the business. When setting goals, there needs to be an established balance between what can realistically be achieved, and setting the bar at a high enough level to drive innovation and change. Setting a goal to reduce water usage by 2% won’t require as much effort as reducing water usage by 15%, which is still realistic but will require innovation and change to achieve the goal. Prioritize sustainability goals towards areas where you can make the most meaningful impact and generate significant results. Although important, participating in community programs may be lower on the priority list as reducing your overall energy consumption by 12%. No goal should be included without a clear roadmap on how it can be achieved. Senior management should provide details to employees to ensure they understand the intended direction of the organization. Company employees can be the richest sources of ideas for creating realistic and achievable sustainability goals. Some of the best opportunities for improving the environmental performance of an entire organization can come from those involved in the day-to-day operations, who may recognize shortcomings and recognize viable opportunities. Establish goals that have real traction with consumers and customers. A company’s drive for sustainability must ring true with consumers, customers and employees. Collaboration with external organizations, NGOs and partners can help to advance your sustainability agenda. These best practices are something to consider when setting sustainability goals for your organization. The right goals should help everyone understand the intended direction of the organization and inspire employees to focus on helping the organization succeed; they are critical to your sustainability programs success. Effective goal-setting will help you drive program adoption throughout your organization, minimize distractions and provide you with a clear roadmap towards a sustainable future. Last updated on October 25,2017 from original blog by Jordan Hall posted on August 30,2012.